If you are on these pages it means you probably already know some of my sofware or you are about to use one of them. Here is posted a small overview of the most significant applications that I had made from year 2003 until now. Very simple game engine designed to create adventure games played from 1st person perspective. I had already made two games using this engine, the games are named Sociopat and are made only in Slovak language. 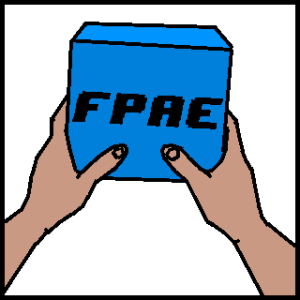 The FPAE was released in Special Edition of the game on Comics Salon in Slovakia 19.9.2014 , after that it was made available on dexus5.com for free downlaod after one month. FPAE was discontinued, however if you wish you can contact me and I will send you unreleased FPAE2 which has much more features and it’s way more user friendly. RealTime Picture Convertor (RTPC) was one of my very first tools created, first released around 2003. This application was ment for web developers for compression of single JPG/BMP files. Since the application was very simple and there were no easy to use freeware alternatives, it became popular. I had a small company for a while and RTPC4 was the first and to date last commercial version of this application. Currently it has around 60 000 users. Universal Anticheat is client side anti cheating system and was initially created in year 2005 then later in 2006 it was rebuilt to support SWAT4 community with wide SWAT4 cheat detections, I do continue updating and making it better over the years. Now it can be used for almost any windows game and can be used in any league for no charge. UAC3 is used in many leagues around the world, mentioning just some of them as Clanbase and ESL, and it had at it’s end (31.dec.2013) 302 328 users and supporting 44 popular games like Call of Duty, Battlefield series and other. In order to function UAC uses it’s own dedicated server with customized linux OS for best performance with low bandwidth. The web/database side was managed by Snipes in the early era of UAC and later by Shii who created UAC3 pages and database system. Since the master server of SWAT4 went down 11 oct 2012 and there is no way to search or view servers of this excelent game, I had created a server browser that can be used by anyone. The browser has more options than the original one had, like player search, pictures of the maps, ability to auto join server, support for all official SWAT4 versions and many more. It became very popular for the remaining SWAT4 community and it keeps it alive. I had created several server information tools that can be used for few First Person Shooter games like SWAT4, Call Of Duty 2,4,5 and F.E.A.R. , there were many more but they were never popular or not used so wide as the mentioned ones. This player was first time made around year 2007 when I started to be more interested in japanese culture and I liked to listen to japanese music. The player was dedicated to kawaii-radio.net station which has stoped existing in mid 2011. After that I had re-made the player with the same interface however now it can be used with any other internet radio. There are many other apps I had made, some of them are available on these pages, some are not because they were single purpose and done for my friends or a specific community of users. If you search for software / tool that is not listed in the downloads, please feel free to contact me.